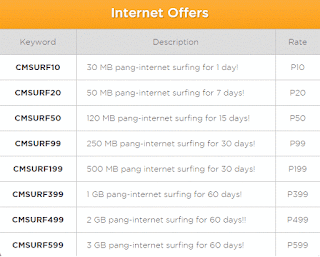 As Cherry Mobile already announced their Cherry Prepaid SIM card here comes their internet surfing promo offers that you can use to register. Since prepaid unlisurf promos of our telcos are already phased out, Cherry offers volume browsing where you can get allocated bandwidth depending on what promo you are enrolled. Just like Smart and Globe, to register you need to send the code to a specific assigned number. You can also use their USSD code dialing to see all exclusive Cherry Prepaid offers thru *139# menu. 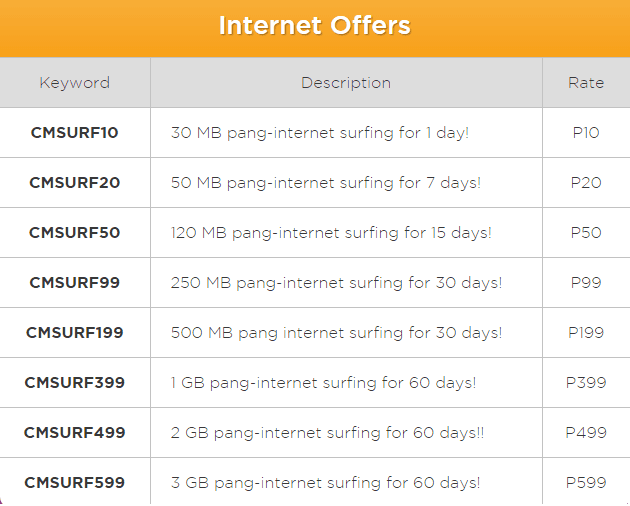 To register Cherry Prepaid SIM internet browsing promo just select any of the promo listed above then follow the sample format provided below on how to register. Use the *139# menu then navigate to promos you wish to register. Once your browsing promo expires, you’ll receive an SMS text notification on your SIM. You can register again on any promo using your Cherry SIM after expiration. You can check out other Cherry Prepaid Internet Offers by visiting their website and social media pages. Have you tried this internet promo? Tell us your experience by hitting the comment button below.